In May, Republican U.S. Sen. Shelley Moore Capito of West Virginia introduced legislation to roll back President Obama's Clean Power Plan. Proposed by the Environmental Protection Agency in 2014, the plan would require states to reduce air pollution and carbon dioxide emissions and would likely speed the retirement of older, inefficient coal-fired power plants. Capito, Senate Majority Leader Mitch McConnell of Kentucky and other lawmakers from coal country view the Clean Power Plan as an existential threat to their states' economies. They contend that phasing out coal would remove a cheap source of energy, leading to higher costs for utility ratepayers. Here's the problem with that argument: Coal is only cheap if you choose to ignore its staggering costs to human health and the environment. Just last month, a report from the International Monetary Fund (hardly a radical outfit) found that the environmental, health and other costs of burning fossil fuels reach $5.3 trillion a year -- $10 million every minute. Coal -- the dirtiest fuel in terms of air pollution and climate-warming carbon emissions -- accounts for just over half that total. By shouldering these costs, we are, in effect, granting a massive public subsidy to coal and other fossil-fuel companies. Health costs from air pollution account for nearly half of that $5.3 trillion subsidy. Those costs include the burden of care for cancer and respiratory and heart disease as well as lost wages due to disability and death. Those costs are paid by each and every one of us, in days of missed work and nights spent in the emergency room, in higher tax rates and in soaring insurance premiums. 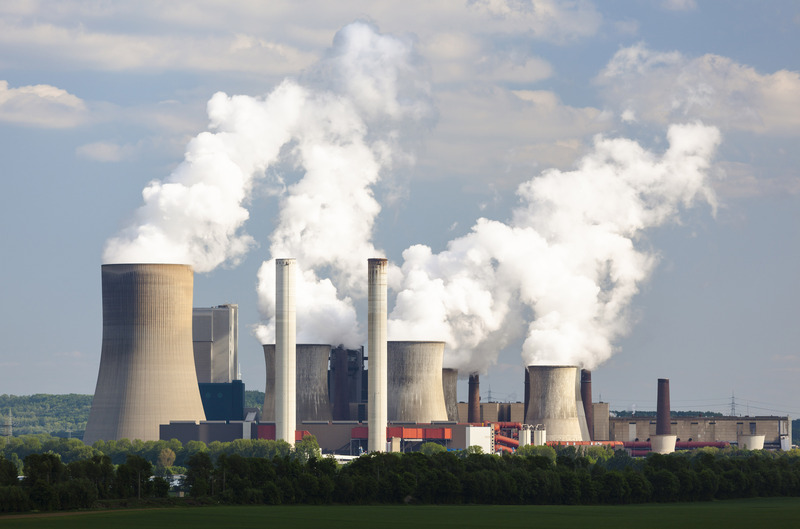 Some pay the ultimate price: A recent study by researchers at the Massachusetts Institute of Technology found that air pollution from U.S. coal-power plants causes more than 50,000 premature deaths each year. Most of those deaths are in the east-central U.S. and in the Midwest, where power plants burn high-sulfur coal. Worse, the health costs of coal fall most heavily on those who can least afford them. The dirtiest coal plants are disproportionately located in low-income communities of color, which is one reason that African Americans' rates of asthma are 35 percent higher than among Caucasians. And then there are the steep and growing costs of adapting to a changing climate. The societal costs of climate change -- droughts, flooding, wildfires and superstorms -- have reached $1.27 trillion a year, according to the International Monetary Fund report. Coal produces more than its share of climate-changing carbon emissions: While coal-fired plants supply just 40 percent of the nation's electricity, they account for more than three quarters of carbon-dioxide emissions from power generation. Again, when you consider the mounting costs of climate change, the greatest burden is borne by the most vulnerable people. Coal, then, is anything but cheap, despite what you might hear from industry executives and their friends in Congress. Of course, we expect industries to defend their interests. A generation ago, the tobacco industry and congressional delegations from tobacco-growing states denied the health impacts of smoking and fought to protect public farm subsidies for tobacco growers. But eventually the societal cost of smoking became too great to bear and the subsidies were revoked. It's time to do the same for coal. Just as we refused to subsidize tobacco, we can stop propping up the coal industry. The Clean Power Plan is a good start; a carbon tax that captured the full health and environmental costs of fossil fuels would be even better. Market forces have sealed coal's fate in the long term. Coal-fired power plants are already being made obsolete by renewables such as wind and solar. In 2014, there were more jobs created in the renewable sector than in fossil fuels. By removing public subsidies for coal, we can speed the transition to a clean- energy future rather than doubling down on the dirty and costly fuel of the past. Gary Cohen is former policy director of the National Toxics Campaign, chief administrator of the National Toxics Campaign and chief administrator of the National Toxics Campaign Fund. 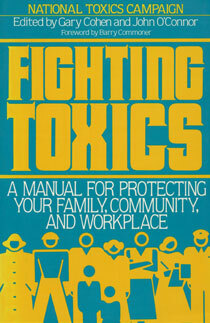 At the time Fighting Toxics was published, he had ten years of experience as a writer and researcher and had been involved with NTC for five years.